Local land-use planning consultant Tom Stevens rode his mountain bike up a dirt road in The Crown area near Carbondale on April 11. Lingering snow and mud have kept most bikers off the area to date. Local backcountry trails users in this region — whether they prefer motorized travel or mountain biking — are not exactly happy about the final draft of the Bureau of Land Management’s proposed revisions to regulations governing use of public lands. The BLM is asking the region’s users of roads and trails across public lands for one last comment on proposed changes in land-use regulations by the public-comment deadline of April 27. Some user groups, particularly those advocating motorized access to roads and trails, are planning to continue to push for greater use of some roads, trails and other BLM-managed terrain. Other user groups said the new rules are acceptable, or at least palatable, for now. “We’re very happy to see the agency moving away from open designations to try to manage travel,” said Peter Hart, attorney for Wilderness Workshop in Carbondale. The “open designations” remark refers to existing regulations that regarded much of the BLM’s lands as open to any kind of travel unless it is expressly forbidden. “I think many agencies across the West are doing that, because we don’t live in the Wild West anymore,” Hart said. The BLM in March released its final draft of revisions to the Colorado River Valley Field Office Resource Management Plan, which represents administrative control of about 2.9 million acres of western Colorado, specifically areas in Pitkin, Garfield, Eagle and Routt counties, along with a tiny piece of Rio Blanco County. A controversial part of the draft management plan revision is known as the “travel management plan,” a set of rules that governs how the public can travel over roads and trails that cross BLM lands. and the Light Hill region, bordering Basalt and Old Snowmass. Of those, Red Hill and the Crown reportedly attract the highest number of users per year and have been subject to perhaps the greatest amount of interest and scrutiny. “Red Hill was never an issue,” Silt-based BLM spokesman David Boyd said. He explained that the BLM, along with the locally based Red Hill Council, together have been managing the Red Hill Special Recreation Management Area for decades. One midvalley hotspot for both use and planning is the Crown, a vast area between the Roaring Fork River and lower slopes of Mount Sopris. Its use among mountain bikers has soared in the past decade. “I think their preferred alternative, Alternative B, is very good for the Crown,” said George Trantow, a midvalley mountain-biking enthusiast. Among the concerns expressed by Trantow and others is the existence of a motorized trail that goes from the slopes above the Rio Grand Trail, up to a ridge and over into the Crown area. Others involved in affected user-group organizations expressed similarly agreeable sentiments about the general revision process. 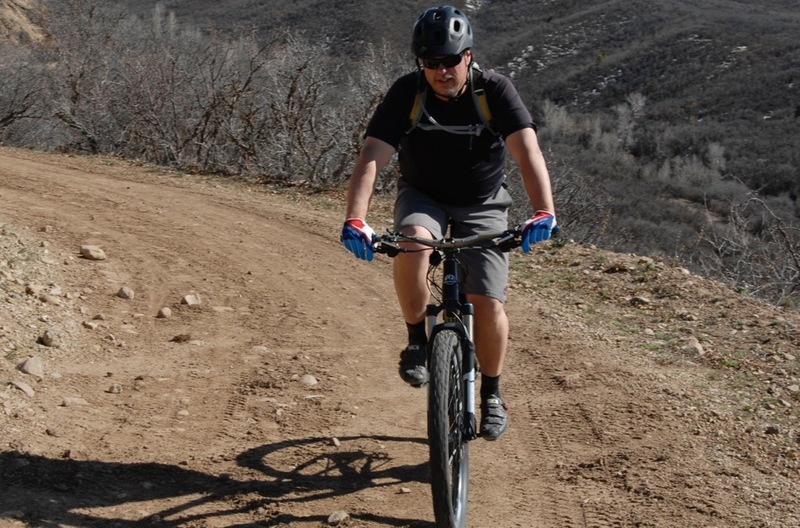 “There’s a lot of positives coming out of this RMP,” said Mike Pritchard, a local architect who also serves as director of the Roaring Fork Mountain Biking Association. Pritchard met with BLM recreation planner Greg Wolfgang earlier this month to discuss his group’s concerns about the management plan and had left that meeting on a hopeful note. “It’s a big balancing act for the BLM to accomplish,” he said, explaining that throughout the seven-year planning process for revising the Resource Management Plan there have been multiple user groups and local governments chiming in. At the motorized end of the recreation travel spectrum, however, the reception for the management plan revisions is much more negative. “They’re taking away places where we’ve been riding for 30 years,” said dirt-biking enthusiast Kenny Reher, a 56-year-old Carbondale resident who works at a local hardware store and spent a recent weekend rocketing around the dirt-bike trails near Fruita because the local trails remain snowbound or muddy. Reher, who moved to this area about 14 years ago but has been a dirt biker on the area’s roads and trials for more than two decades, said of particular concern for him are changes in the travel management of the Crown. He said the BLM’s planners have taken aim at a popular motorcycle single-track on the southern flanks of the Crown. “They’re trying to get rid of that,” he said. He accused the BLM of moving to eliminate as much as a dozen miles of trails once open to motorized, while the BLM at the same time is adding as much as 15 new miles of trails for those he calls “pedal pushers” — mountain bike riders that the BLM categorizes as “mechanized” trail users as opposed to “motorized” users. Reher’s frequent riding partner, Bruce Kirk, agreed that the Resource Management Plan revisions are not fair to motorized trail riders. “I’ve been riding these mountains since 1970,” he said, lamenting that what once was a fairly wide-open range for motorized recreation is being cut back severely. And, he said, mountain-bike trails that have been created within the past five or six years, such as the Lorax Trail in the Thompson Creek region, are being accepted and formally placed into the trails inventory. Both men accused mountain bikers of flagrantly creating trails where once there were none, while they maintained backcountry motorcyclists stick to the established trails. “We respect the land,” Reher said. “We don’t go off road.” And, he further alleged, mountain bikers often leave gates open when crossing ranch land where cattle might escape, another thing he said dirt bikers do not do. Brandon Siegfreid, volunteer director of the Public Lands Access Association headquartered in Grand Junction, put his objection to the management plan revisions even more bluntly. “They’re ignoring our rights of way on public lands,” he said, noting that he is working on a challenge to the federal agency’s authority to even engage in this kind of management of public access to federally controlled lands in the West. “We’re not saying every trail should stay open (to motorized traffic),” Siegfreid said, adding that he and others object to the agency’s decision to cut motorized traffic for everything from full-sized vehicles to all-terrain vehicles and off-road motorcycles. There are 950 miles available under the existing BLM rules to 675 miles under the proposed new rules. At the same time, the agency is proposing an increase in non-motorized uses of routes, from 357 miles currently open to foot, hoof or mountain biking travel, to 587 miles open to such uses. Editor’s note: Aspen Journalism collaborated on this story with The Aspen Times, which published a version of the story on Tuesday, April 22, 2014.